On Cape Cod, I always have a bowl or two or three of Portuguese Soup. It is one of my favorites, but hard to find in NYC. 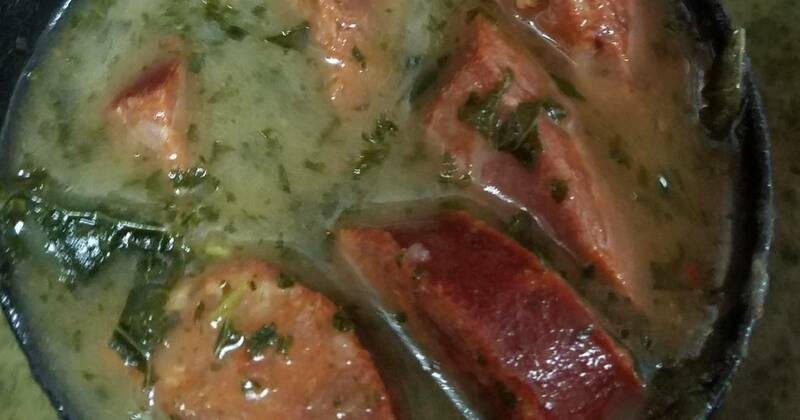 I have made it in a regular pot, but never tried it in a slow cooker. Until now. 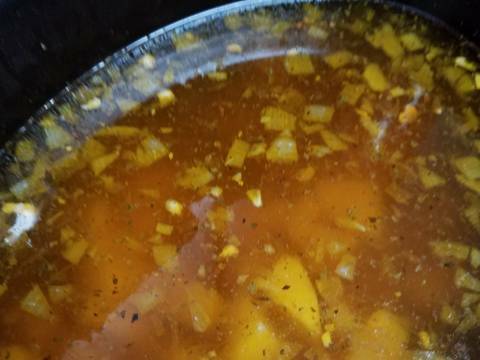 I am a firm believer that the slow cooker was made for soups and sauces. This is another prime example. 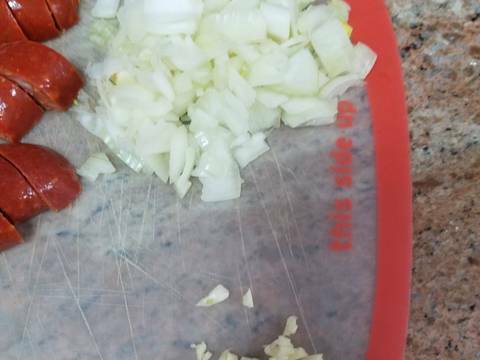 Dice the garlic and onions, separate into two piles. 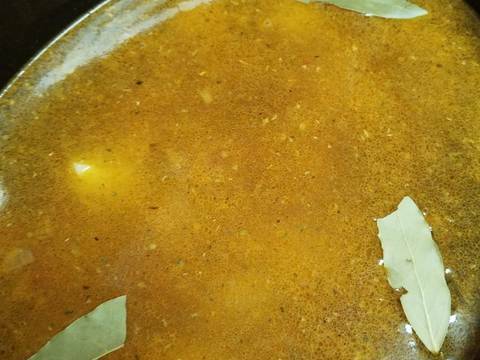 In a hot pot over medium heat, coat the pot with olive oil. 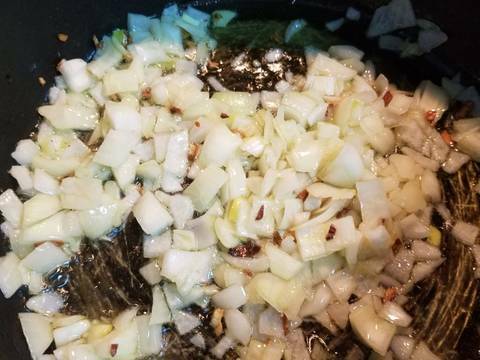 Add the garlic. Saute the garlic for a minute or two. Next add the onions into the pot. 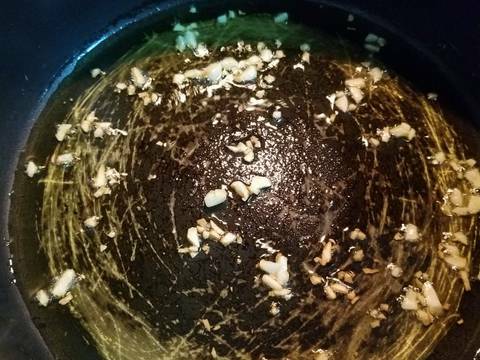 Cook together with the garlic for about 5 minutes. 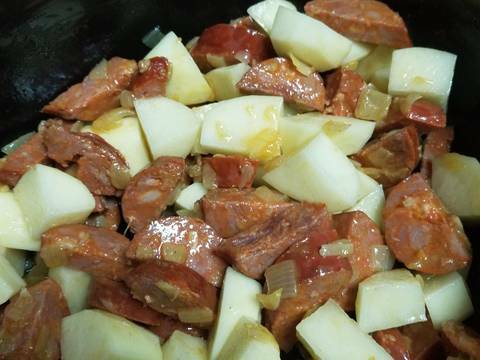 Once the onions are translucent, the linguica goes into the pot. 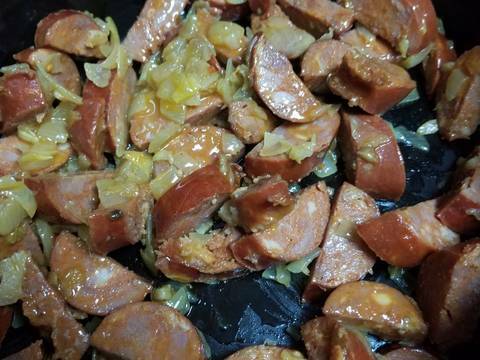 Cook the linguica until it is slightly browned. Add all of it into the slow cooker. 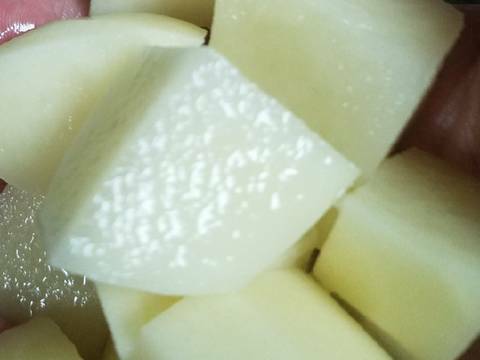 Cut the potatoes into one inch pieces. 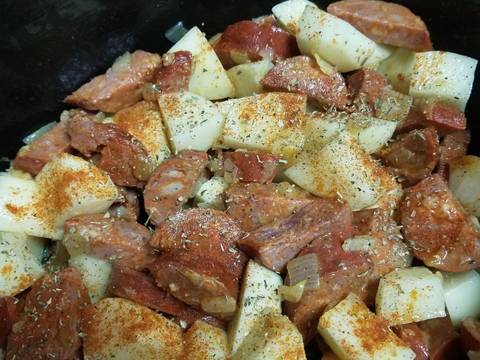 Place the potatoes into the slow cooker. 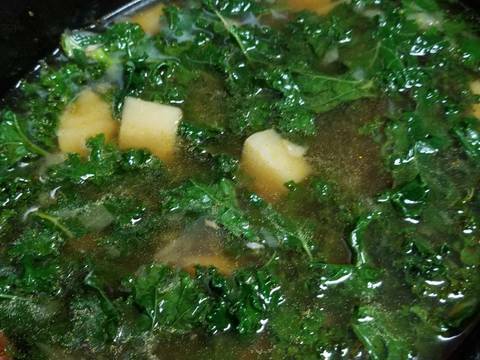 Stir everything into the slow cooker, except for the kale. 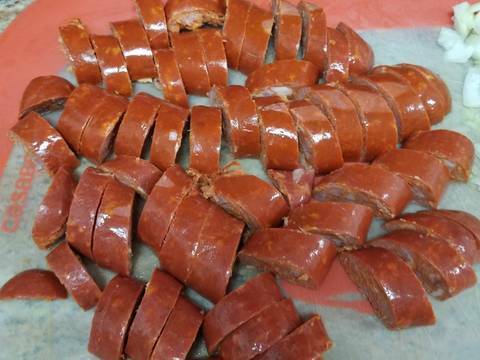 Place the bay leaves on top. 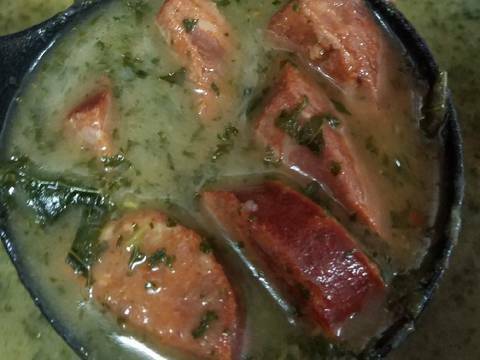 Close the slow cooker, set the temperature to low, and cook for about 8 hours. 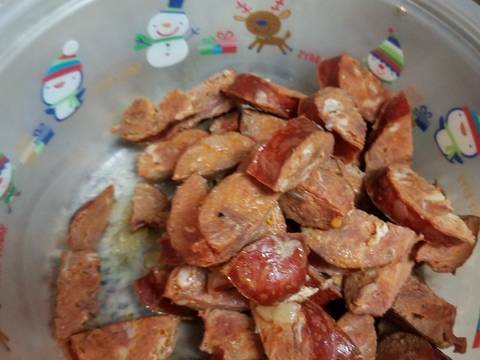 After 8 hours, discard the bay leaves and remove the linguica with a slotted spoon. Put to the side. 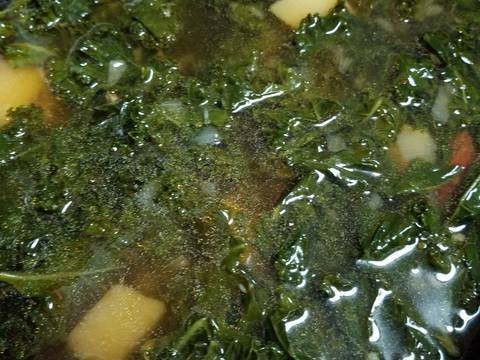 Mix in the kale and cook for another 30 minutes with the temperature on high.